GREENVILLE, SC – September 26, 2016 – GREENVILLE, SC – September 26, 2016 – The Greenville Area Development Corporation (GADC), the County-chartered organization tasked with advancing the area’s economic growth, announced today that UST Logistical Systems (UST), a national third-party logistics company, is launching its first operations in Greenville County. 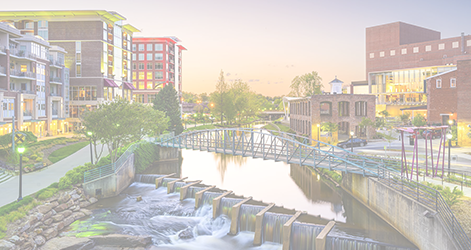 The new development is projected to generate $1.6 million in new capital investment and bring 50 jobs to the Upstate. Established in 1998, UST is a third-party logistics company that specializes in the delivery of furniture and appliances from a retailer’s warehouse directly to a customer’s home. Reaching one million annual deliveries in 2015, the company has grown to feature delivery operations for several major store chains including Conn’s Home Plus and hhgregg, Inc.
To accommodate its continued growth, the company is relocating its corporate headquarters to 103 North Main Street in Greenville, S.C. Hiring for new positions is projected to begin in the fourth quarter of 2016, and those interested in joining the UST team should visit the company’s website online for more information.